Standing over 15 metres tall, the Burberry Balloon is inspired by the real-life achievements of Air Commodore Edward Maitland. 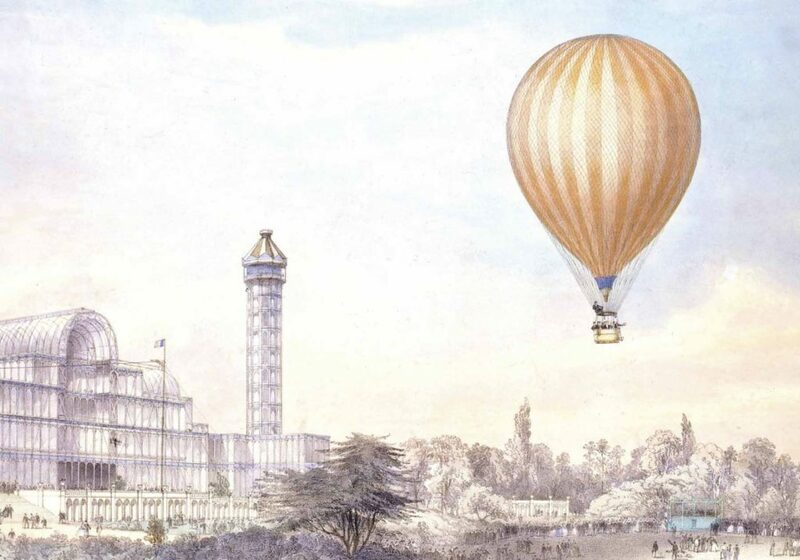 Along with fellow balloonists Auguste Gaudron and Charles Turner and dressed in Burberry leathers, they travelled 1,117 miles from the Crystal Palace in London to Russia in 1908, setting the British long-distance, in flight record. 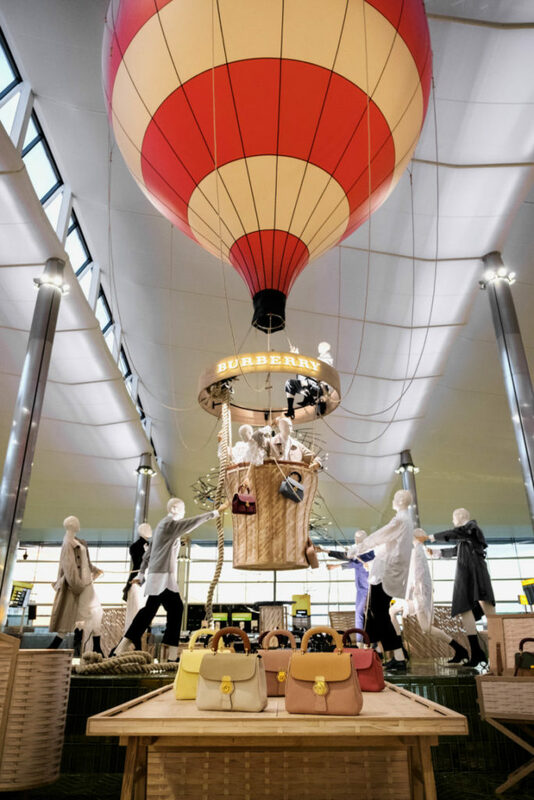 Burberry, in collaboration with designer Sebastian Cox, created an installation for a pop-up store in Heathrow airport. Standing over 15 metres tall, it was the largest indoor installation ever erected at the airport terminal. Our job, as General Contractor, was to find a way to suspend a hot air balloon inside one of the busiest airports in the world and install a bespoke made stand of beautiful French tiling and furniture. 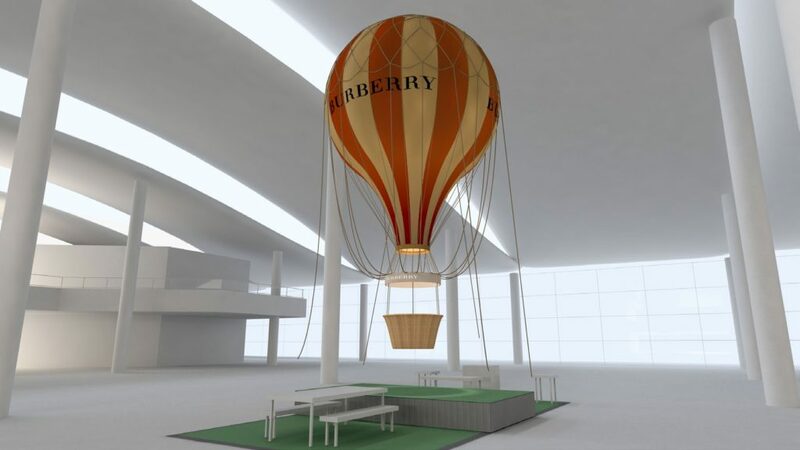 The balloon, designed by Burberry’s design team was constructed by Cameron Balloons. The challenge for us was negotiating the strict airport compliance and figuring out how to install Terminal 2’s largest ever installation. Heathrow Terminal 2 may be the smallest terminal, but 16.5 million passengers a year make their way through its doors onto over 118 thousand flights. Installing their biggest indoor installation ever without disrupting people’s travel was just the first challenge. The installation is on the “air side” of the terminal. As such, the installation was subject to strict rules regarding the materials used and the times our team could access the site. Working at night in 4 hour shifts, our team carefully assembled the hand-crafted balloon. To keep the balloon suspended, our engineers worked with the Heathrow Airport maintenance team. Examining design documents they identified the stress points and load tolerances of the roof beam in order to make sure that the balloon’s guy-ropes didn’t bring the terminal down! 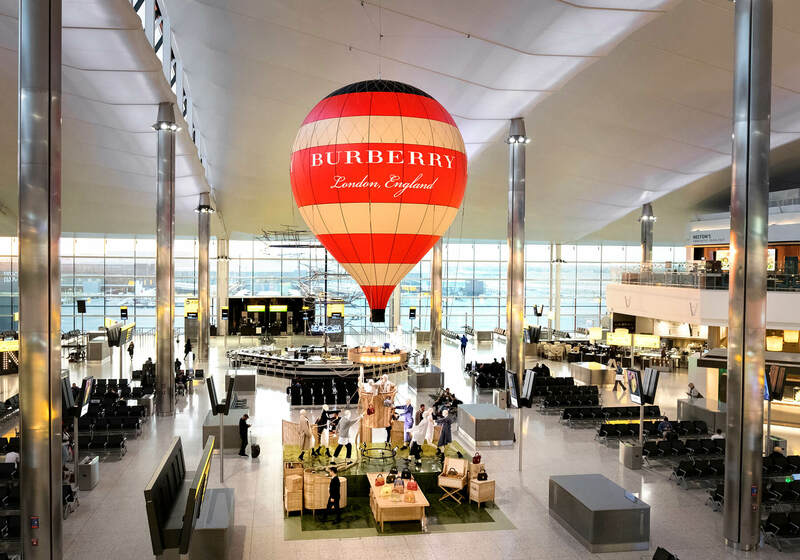 The Burberry Balloon was ready for launch on time and remained in Terminal 2 from 4th May to 7th August 2017. Suspended over the Burberry installation, it was the centrepiece of a stunning and memorable brand campaign that traversed the globe. The installation also featured dedicated iPads and Burberry post boxes, allowing travellers to create and print their own Burberry postcards and send them to friends and family. For us, the Burberry Balloon stands as a testament to our passion for doing anything, no matter the challenge! We proved that there is always a way, even in the most challenging of locations. Let's create the next big wow, together.